Barbour Machar Trilby Hat for Men. natural and navy stripe For Summer. 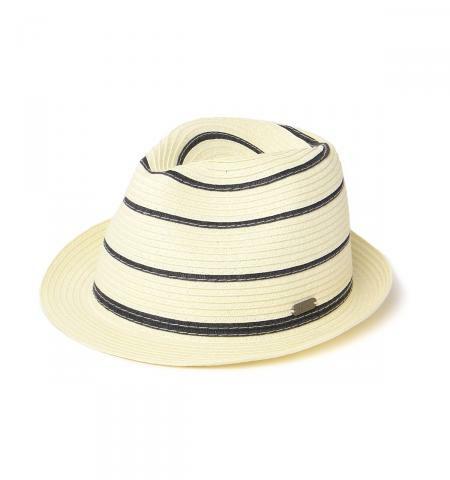 For the perfect summer hat this season choose the Men's Barbour Machar Trilby, offering you a stylish paper braid trilby hat you are sure to love. The bold navy stripes to the crown gives you a touch of nautical inspired style, perfect for days spent by the coast. Size: S-XL. Make your choice of size from the pull down menu below.SALE!